SE215 Wireless Sound Isolating™ Earphones with Bluetooth® Communication cable provide hour after hour of rich, detailed sound with enhanced bass, the freedom of wireless and simplicity of Bluetooth. Control your world at your fingertips: three‐button remote and mic offers audio for phone calls, voice commands and other voice‐activated device features. Translucent black, translucent blue, white and clear color options offer an expression of personal style. Ergonomically optimized earphones designed to rest comfortably in the ear for unmatched comfort and personalization. Wireform, behind‐the‐ear cable provides customized, stable and secure fit. Nozzle angle matches the contour of the ear canal for lasting comfort. Zippered carrying pouch included for storage protects your investment from the rigors of everyday life. Clothing clip stabilizes the wire for security and stability during both exercise and travel. 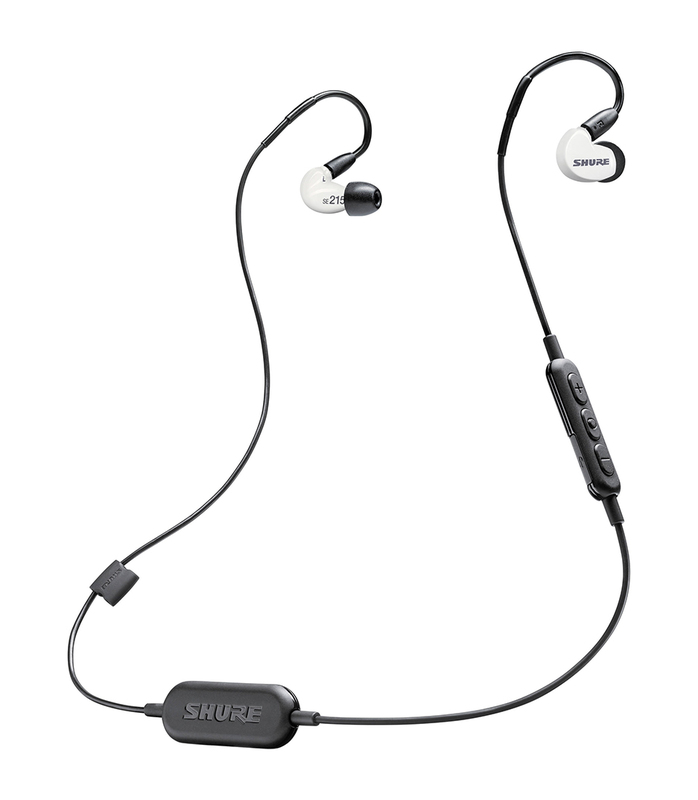 Se215spe W Bt1 Efs from Shure is 100% original and brand new. We, at Melody House take pride in our after sales service and support. For further details on the se215spe w bt1 efs, Shure, simply write to us to consult an expert or order online and we will take care of the rest. Happy Shopping!